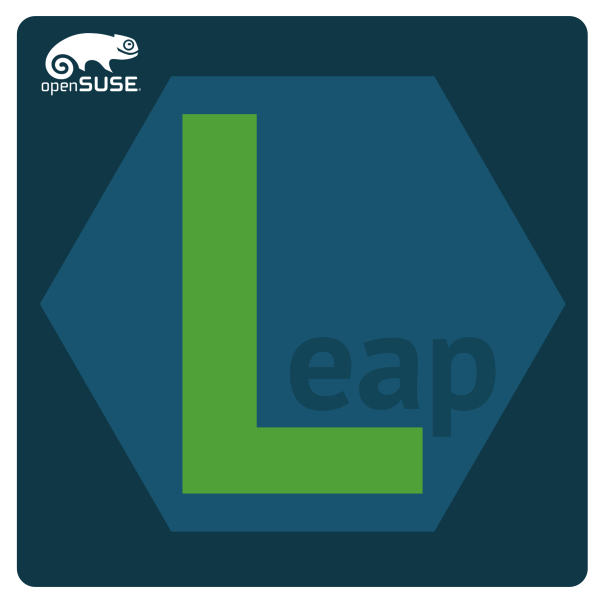 The newest openSUSE release Leap 42.1, which is based on core SUSE Linux Enterprise source code, has just released its first development milestone. Milestone is being used to avoid the term Alpha because the milestone is able to be deployed without the additional future items and subsystems that will become available when Leap is officially released. As Tumbleweed keeps rolling with the latest features and subsystems, Leap will fill the gap between the longevity of a SLE core and the innovation related to Tumbleweed, he said. The quality and environmental care Tumbleweed provides with its development model should quickly translate to a top-quality distribution for Linux users, sysadmins and developers. The milestone was moving forward with a 3 series Linux Kernel, but the Long-Term Support 4.1 Kernel, which enhances EXT4 file-system encryption and power improvements for both ARM and x86 devices, was needed for the release of the first milestone. The new Kernel was practically flawless when added to the next build, which had some minor errors. Updated drivers and more general improvements are expected in the second milestone. GNOME 3.16, KDE Plasma 5 and Firefox 38 are projected for the release of Leap in November at SUSECon in Amsterdam. Stephan “Coolo” Kulow, the release manager, provided an update on the packages for Leap. Since the announcement four weeks ago, the sources leaped from 2,000 to about 5,450 source, which about 1,150 are from SLE 12. The binary packages for the milestone currently stand at about 56,500 compared to 13.2’s 71,750 for the same measure. If you want to see what the future of Leap will be, try the milestone and contribute to making Leap an LTS-rock release, which will have enduring updates and maintenance commitments by the community and SUSE. Part of that commitment can be seen through the recent job announcement of a Release Engineer for openSUSE. There is currently no plans for live CDs, but expect other media formats to be added later. For more information, email ddemaio@suse.com. So awesome. Can’t wait to test this! Spreading the word in spanish!! So openSUSE 42.1 will have an older Firefox than openSUSE 13.2? 13.2 came with firefox 33 – and we generally update firefox for all releases in maintenance. Article said “… and Firefox 38 are projected for the release of Leap in November at SUSECon in Amsterdam” which will be older than current Firefox 39 from openSUSE 13.2 with all its updates. Firefox 38 is a LTS and 39 is a regular release. So question is, will Leap have a LTS Firefox or regular? In my opinion (and it should have some weight at least as the main maintainer of FF) Firefox should be up to date with the regular releases. There is one exception probably when we are getting closer to the EOL of a Leap version and stay on an ESR version before maintenance ends since it is getting harder to keep FF building after a few years of lifetime. Is it possible to know if the suse installed support hd encryption with new feature of ext4 without luks and similar tool? Which PHP Versions will be supported, this is an issue with SLES 12 and SLES11.3 There are no PHP-Posix modules as far as i know. I checked with zypper info and saw 5.5 at the moment. when it’ll release gnome/kde versions? People ask for a CentOS style release from SLES and we get a mix-mash between SLES and Tumbleweed that’s literally useless as an LTS release for servers. I would love to see a change in the way we manage security in out current methodology of just having SPI and opening and closing Ports and watching for a few attack scenarios. What our security lacks are ALG’s (Application Layer Gateways) which strip the data component from the comms where traffic is not encrypted https/SSL/TLS etc. Currently my hardware security does this for me but I am one of the few. By examining the traffic on say Port 80 via an ALG we are able to interrogate by way of its content. There we can examine the data and watch for known attack code and prevent it. We lack the ability to filter blacklist or whitelist of URL’s…for example if I want to deny all .MIL (Military sights) *.mil/* – any URL that has a .mil followed by anything or whitelist a URL *download/opensuse.org/* – whitelist and exempt from further interrogation anything containing. Having a scheduled time where domain name filtering is applicable affords us some parental control or set policy for an office. For example *facebook.com/* between 0800-1600 M-F…No access to facebook between 08:00 and 1600. A far greater acceptance that using NAT is so widespread…almost my whole country runs NAT on small to medium Business and every home, and stop thinking about zones forever. Just a few thoughts for usability that a user cam more effectively make use of. I have better experience with stimulating my children to behave responsibly and spent their time and energy productively instead of police-ing them. give it a try. You will be surprised how intelligent and smart they are, all by themselves, after a while. OpenSUSE is the distro that pleased me the most. However, something need to be polished. I want a more abundant software repository, and fixing ipv6 problem of curl (used by zypper). Furthermore, I expect to see a better integration of wicked to desktop environment. ok so the kernel support EXT4 encryption… somebody know if suse have a tool to support this new feature or lucks need to be used? I have thought that opensuse releases were always filling a gap between rolling and old/stable suse so whats new in this approach? Why couldnt it simpy be opensuse 14.0?